Leading auctioneer and dealer Raj Bisram is one of the experts on Channel 4’s award winning Four Rooms. He has appeared on Channel 4′s Posh Pawn and has recently been on his first Antiques Road Trip for the BBC, due for broadcast late 2015. In his early life, Raj was a Physical Training Instructor for the British Army. He became a Ski-Racer and, subsequently, Road Manager to the World Ariel Stunt Team, eventually becoming the first non-Austrian qualified ski instructor within Austria. After Dinner Entertainment with a Splash of Magic! 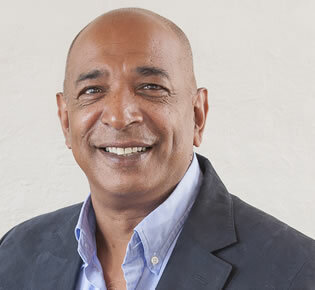 Raj is an exceptional after dinner speaker, known for his hilarious stories and anecdotes, of which he has plenty. From his days in the army to skiing capers and antiques dealing he can entertain most audiences with his charisma, wit and charm and will adjust the tone and subject matter to suit the event. Raj spent much of his early life working his way around the world as a magician and was an Associate Member of the Magicians Circle. He brings this flair for magic to his after dinner entertainment and finishes it with a flurry as two of the waiters suddenly reveal themselves to be magicians and the three of them go round all the tables enchanting the guests by making things disappear and reappear – a memorable and fun end to any dinner event. Raj can create the perfect entertainment for your evening and budget. Please be in touch to discuss your requirements.